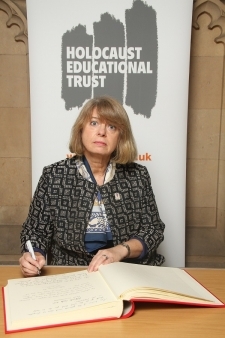 West Worcestershire MP Harriett Baldwin has joined MPs from up and down the country marking Holocaust Memorial Day ahead of national events on Saturday. The events are organised by the Holocaust Educational Trust which runs learning sessions for young people and has run many local events involving holocaust survivors across West Worcestershire as well as taking pupils to see the camp at Auschwitz-Birkenau. Harriett said: “The Holocaust Education Trust do remarkable work ensuring that today’s schoolchildren hear first-hand about the Holocaust.